The purpose of this retrospective cohort study was to examine therelationship of marijuana use to cancer incidence. The study populationconsisted of 64,855 examinees in the Kaiser Permanente multiphasic healthcheckup in San Francisco and Oakland (California, United States), between1979-85, aged 15 to 49 years, who completed self-ad-ministered questionnairesabout smoking habits, including marijuana use. Follow-up for cancer incidencewas conducted through 1993 (mean length 8.6 years). 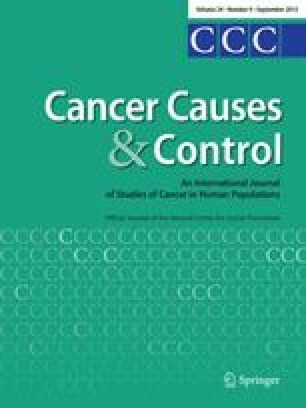 Compared withnonusers/experimenters (lifetime use of less than seven times), ever- andcurrent use of marijuana were not associated with increased risk of cancer ofall sites (relative risk [RR] = 0.9, 95 percent confidence interval [CI] =0.7-1.2 for ever-use in men; RR = 1.0, CI = 0.8-1.1 in women) in analysesadjusted for sociodemographic factors, cigarette smoking, and alcohol use.Marijuana use also was not associated with tobacco-related cancers or withcancer of the following sites: co lorectal, lung, melanoma, prostate, breast,cervix. Among nonsmokers of tobacco cigarettes, ever having used marijuanawas associated with increased risk of prostate cancer (RR = 3.1, CI =1.0-9.5) and nearly significantly increased risk of cervical cancer (RR =1.4, CI = 1.0-2.1). We conclude that, in this relatively young study cohort,marijuana use and cancer were not associated in overall analyses, but thatassociations in nonsmokers of tobacco cigarettes suggested that marijuana usemight affect certain site-specific cancer risks.